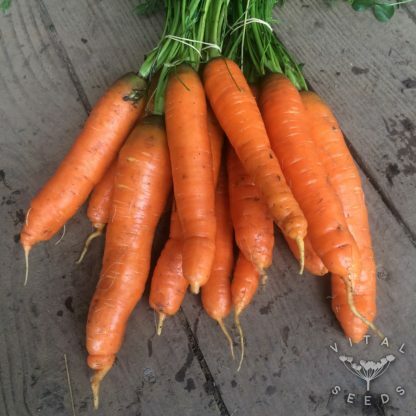 Fast maturing carrot perfect for early sowings. 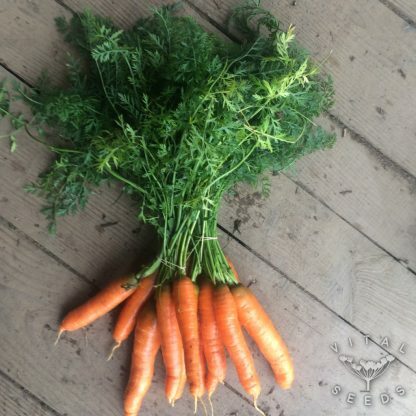 Originally from France but grown in this country for decades as a kitchen garden favourite, this is a classic carrot variety of the half-long type, as they say. Reaching up to 17cm in length and 3-4 cm in diameter, it is a sweet, bright orange, blunt, cylindrical root, round at the top and bottom. It has fine texture and delicate flavour with almost no core. 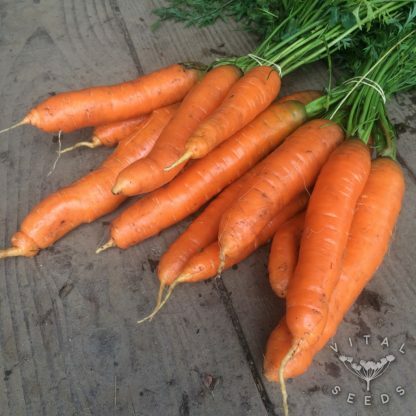 It is ideal for early sowings but can delight you with a tasty crop throughout the year as well. Perfect all-rounder carrot, that does well as bunching carrot, juiced, sautéd, frozen, grated into a salad or just straight from the ground which is when they taste the best, we think.